This survey of the history of livestock in New Mexico is the first of its kind, going beyond cowboy culture to examine the ways Spaniards, Indians, and Anglos used domestic animals and how those uses affected the region’s landscapes and cultures. Dunmire mines the observations of travelers and the work of earlier historians and other scholars to provide a history of livestock in New Mexico from 1540 to the present. 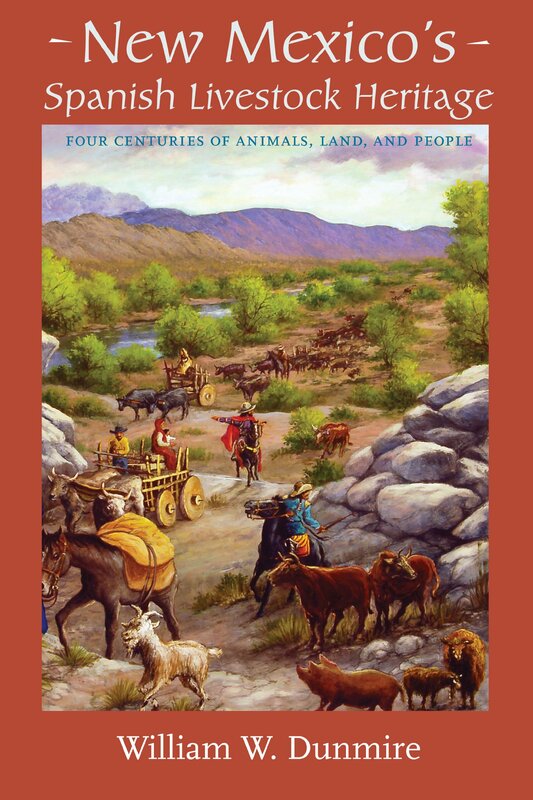 He includes general background on animal domestication in the Old World and the New during pre-Columbian times, along with specific information on each of the six livestock species brought to New Mexico by the early Spanish colonists. William W. Dunmire is a retired National Park Service naturalist and is currently an associate in biology at the University of New Mexico and a research associate at the New Mexico Museum of Natural History and Science.